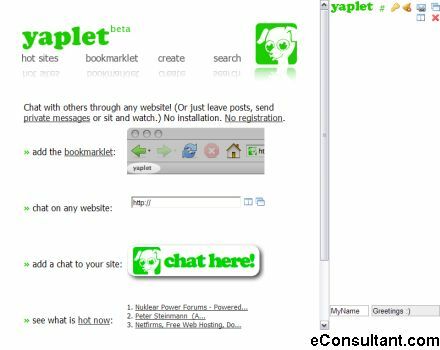 Description : Yaplet turns every site on the web into a social network. Yaplet requires no installation and no registration. With the click of a bookmark, you can chat directly with other people viewing the same page as you.